Before you put your home on the market, finding out how to increase home value is a crucial first step. You might be surprised how easy it is to make a few simple changes yet see a hefty asking price jump. Today, we will show you the top 9 tips for success for increasing home value. If you live in Parkland, Coral Springs, or Coconut Creek, you are already ahead of the game. These are extremely desirable communities where market value is already at a premium. However, if your home lacks curb appeal, or it needs numerous repairs, you are doing yourself a disservice. Not spending a little time and money could cost you significant returns on your investment. Before you jump into costly or time-consuming renovations, read over the list of 9 tips below to see if your plans make the cut. Next, contact an experienced realtor for an honest opinion of where to spend your renovation dollars. Trust us when we tell you that your realtor wants to tell you how to increase home value so that they can get more money for your house. It is a win-win situation. You walk away with a lot more of a profit, and your realtor gets a bigger commission. Everyone wins. Oh, and the buyer gets a beautiful, move-in-ready home. Go for a drive down your street as if you are a potential home buyer. Which houses look the best? Which ones look the worst? Take a good look at why some houses look better than others. Do they have clean roofs, fresh paint, or well-manicured yards? Any potential buyers will be doing the same thing. As they drive to your house, they will pass by your neighbors. Spend the time and money to make the outside of your house have great curb appeal. Remember, that is the first impression you will make on prospective buyers. These do not have to be costly expenditures. Does your doorbell work? Is the welcome mat old and worn? Perhaps you have always wanted to add an awning over your front door to shield from rain. Will a new mailbox be better than the rusty or worn-out wood one that you have now? Perhaps your home really does need a new roof or some landscaping. Yes, these items will cost a bit more than a new mat, but they will significantly increase the value of your home. The kitchen is undoubtedly one of the most important rooms and selling points of your house, and a great place to start when looking for how to increase home value. If your kitchen cabinets, flooring, and counters are from the 70s, it is time for an update. Potential buyers may be put off by knowing they have to invest time and money in a new kitchen. Not to mention not being able to cook for weeks or months during a remodel. When looking for how to get your house ready to sell, even some minor upgrades such as refinishing the old cabinets might make a difference. Hanging pot racks, an island, or stainless-steel appliances can all improve your home’s value. Yes, all your “stuff” makes your house a home – giving it that lived-in feeling. However, prospective buyers need to be able to imagine their belongings in your house. They cannot do that if all they see is clutter everywhere they look. Get rid of stuff you do not need, or at least, pack it up and put it in storage. Although you may not care about lowering the price of your house if the inspection turns up things that need to be fixed, you might also lose the sale. Potential buyers may decide that your house is a “lemon” if too many items need fixing. Stop the drips, replace the electrical outlets, and get rid of the squeaking doors. Call in a professional for an estimate if you cannot do the repairs yourself. Your realtor can probably recommend some reliable professionals to help you get the job done right. Although people may not spend as much time in the bathroom as the kitchen, everyone wants a bathroom that is appealing to the eye. It may be as simple as giving the floors a good cleaning, changing the rugs, and buying a new shower curtain. Or, you may need to invest in new lighting, mirrors, cabinets, or countertops. Ask your realtor for advice. If your interior walls are strange colors or marked up with your children’s “drawings,” you need to invest in a new coat of paint. This is a relatively easy and affordable task – especially if you are a do-it-yourselfer. New faucets, lighting fixtures, door handles, and artwork can make a difference in how buyers view your home. Dirty carpets alert your prospective buyers that the carpet might be beyond repair. They will automatically envision $$ to replace the flooring. You can reverse that scenario by making sure your flooring is clean and in good repair. These 9 tips for how to increase home value should help you get top dollar for your house. Remember, a clean, neat, orderly house in good repair will get you more money. Disorganization, clutter, broken faucets, weeds, and missing roof tiles will make it harder to sell your home. You may even find yourself stuck lowering your price instead of fighting off a bidding war. 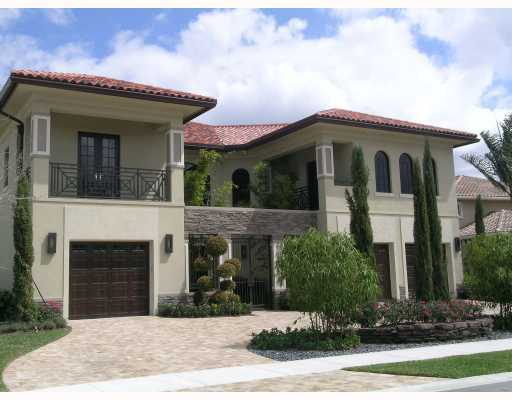 To learn how to increase home value of your house, please contact the team at Great Florida Homes at (954) 695-SOLD. We are here to help you sell your existing home or buy a new home.